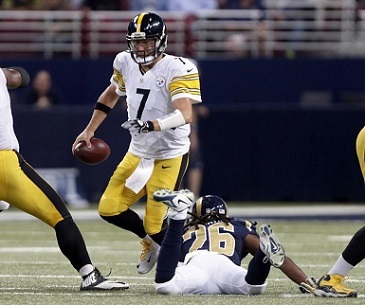 A lot of things haven’t gone right for the Pittsburgh Steelers. 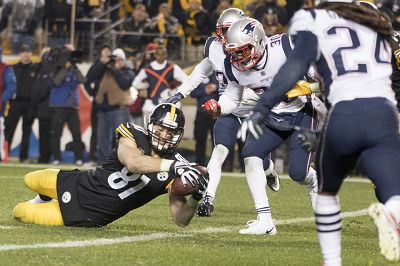 After knocking on heaven’s door against New England in the 2016 AFC Championship nothing has gone Pittsburgh’s way. Room temperature meant needing Cleveland to beat Baltimore to make the playoffs, and the Browns blew it. Then news broke that Antonio Brown had quit on his teammates before the season finale against the Bengals. Then Antonio Brown proceeded to humiliate the team on social media, ultimately forcing the team to take fire sale value in a trade with the Raiders. The national media has decided to pile on Pittsburgh to the point where Josh Harris (who?) gets a national platform to dump on Ben Roethlisberger. Just how far reaching is this pile on? Well Josh Harris’ claim ignited two days of parallel debate on both Mexican and Argentine Steelers WhatsApp groups. To be certain, Art Rooney II, Kevin Colbert and Mike Tomlin have begun taking action to right the wrongs. The Steelers wisely decided not to slap the transition tag on Le’Veon Bell. That ended or at least signaled the end to that story. Then they gained come vindication to when Le’Veon Bell signed for less money than they’d offered him a year ago. And they’ll still have James Conner at a fraction of the cost. The Steelers have also been active in free agency. One by one they’ve signed Steven Nelson, Donte Moncrief and Mark Barron. Objectively speaking, each of those moves make them stronger today and gives the flexibility in the 2019 NFL Draft. However, it is wise to be a little wary. Art Rooney Sr. warned his sons against “Putting on the dog. ” The Steelers recent history with splash free agency moves haven’t gone so well. See the tenures of Mike Mitchell and Ladarius Green. 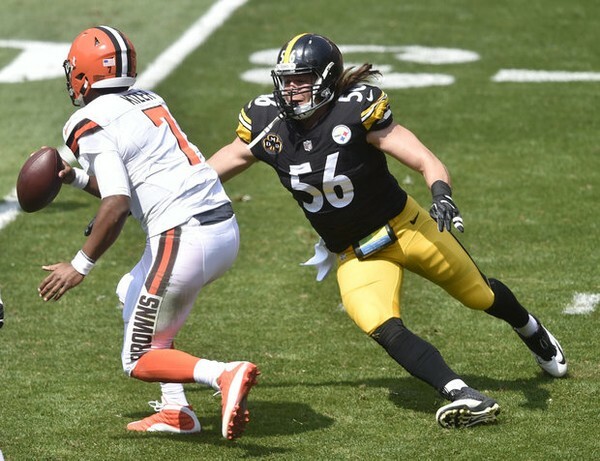 The Steelers aggressiveness is satisfying this spring, but those signings must not fall short come autumn. Time will tell. But the one unequivocal right move the Steelers made involves a player who won’t take a snap this year. And that player is Ryan Shazier. 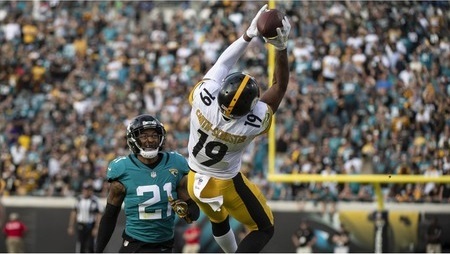 Last week the NFL announced that Ryan Shazier’s 2018 contract was tolled, or rolled into 2019 because he didn’t play the requisite games to qualify for a full year of service. This is an administrative decision made under the terms of the CBA. Not that it matters to the Steelers. 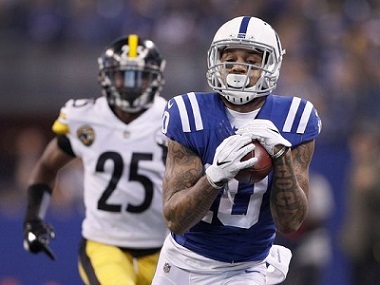 At the 2019 NFL Scouting Combine Kevin Colbert made clear the Steelers were going to keep Ryan Shazier on their 2019 roster regardless of whether the NFL tolled his contract or not. 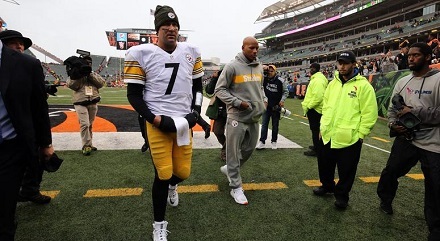 Ryan Shazier says he wants to play again. The odds are against him. But that doesn’t matter. The Steelers are making sure they do what they can to take care of Ryan Shazier. They could have given him a coaching or front office job, but by keeping him on as a player, Ryan Shazier gets access to better health care, another year of pension accrual, and access to all the other benefits that an NFL player enjoy. After enduring several months when so much seemed to go wrong for Pittsburgh, Steelers are doing right by Ryan Shazier and that is fundamentally a good thing. Could a cycle be forming? 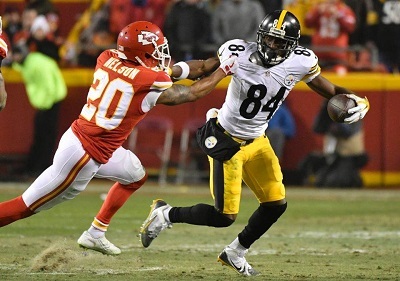 In Pittsburgh’s 2019 home opening loss, the Kansas City Chiefs used and abused the Steelers secondary revealing it as a major weakness that needed to be corrected. To be sure, Sean Davis and Terrell Edmunds stepped up their play from that awful day to begin making improvements during the season. And now, as a first off season step towards shoring up that secondary the Pittsburgh Steelers have signed cornerback Steve Nelson from the Chiefs. If reports are correct, Steve Nelson’s contract is for 3 years and $25.5 million, although there is no information on guarantees and signing bonuses at this point. 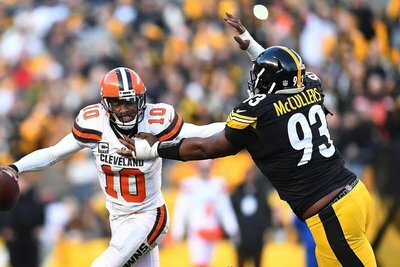 Nelson cannot “officially” sign with Steelers at until 4:00 pm today. Given the money the Steelers are paying him, Steve Nelson will undoubtedly be slotted as the starter opposite Joe Haden. The move also ensures that the Steelers will not pick up the 5th year option on Artie Burns, although exercising that option would have been insane under any circumstances given Artie Burns track record. The move could signal the end of Coty Sensabaugh’s time in Pittsburgh. Coty Sensabaugh, the incumbent starter, is a free agent who will not get a ton of money thrown at him, but is also not the type of player you can bring back at the veteran minimum. That in turn could be good news for Cameron Sutton and Brian Allen. Mike Hilton looks set to arrive at St. Vincents as the Steelers starting slot corner, but Burns, Sutton or Allen could conceivably mount a challenge. Cornerback has been a sore spot for the Steelers defense since at least Super Bowl XLV if not before. Despite that, the Steelers Steve Nelson signing is the first time the franchise has made a big-name free agent signing at cornerback since bringing Dwayne Washington to Pittsburgh in 1998. By any measure, Steve Nelson is a counts as a major free agent signing by the Steelers. In 2018, he totaled 68 tackles, defensed 15 passes and made four interceptions. That 4 interception total tops the season high-total for any Steelers player since Troy Polamalu recorded 7 interceptions in 2010. However, those were the first interceptions of Steve Nelson’s career. That shouldn’t be necessarily be considered as an ominous sign – as Nelson had 16 passed defensed in 2016 and many scouts will tell you the passes defensed is a better performance metric for judging defensive backs. Welcome to Steelers Nation Steve Nelson. While players cannot officially sign until 4:00 pm, a lot has already happened. Jesse James is headed to Detroit and Le’Veon Bell is flying off to the New York Jets. 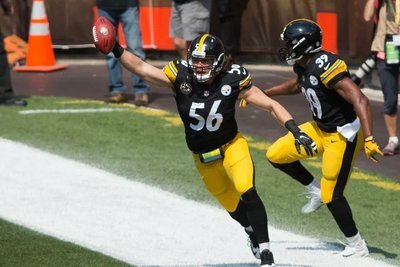 However, Anthony Chickillo will be returning to Pittsburgh. Stay tuned. 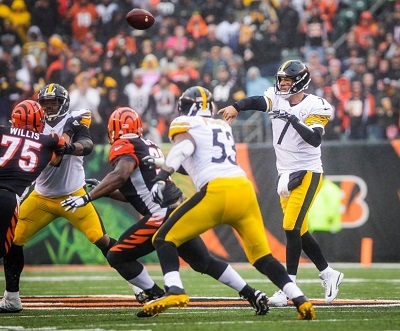 Steel Curtain Rising will have more in depth commentary on the moves above.